In life and love, we could all stand a few nips and tucks . . .
Kaye Redmond, a "can do" kind of woman, has the magical touch when it comes to staging houses to attract buyers. Her ability to make things "perfect" has served her well in her career. If only it could transform her personal life as well. With a failed marriage, an angry teenage daughter, and an ex-mother-in-law who is no fairy godmother, Kaye's life is about as imperfect as it gets. But sometimes blessings come in the strangest packages. Like her ex-mother-in-law landing on Kaye's doorstep after a botched facelift. Could caring for the impossible woman help Kaye get what she wants most: her husband back? Isn't that what God would want? And what her daughter needs? But no fairy princess ever faced such obstacles: an ex-husband's surgically enhanced mistress, hormonal teenagers, and--worst of all--an extra handsome prince! How's a woman supposed to find happily-ever-after with all that going on? "Sharp prose and an appealing love story make this tale a winner." "One of my favorite new authors . . . such unique stories." "I was floored by the way this book made me feel . . . first-class entertainment." 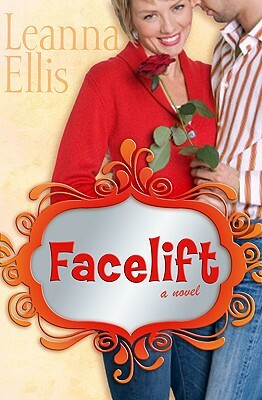 Leanna Ellis sold more than 1.3 million romantic novels writing as Leanna Wilson, winning a Readers' Choice award and the Romance Writers of America Golden Heart award for her work. Elvis Takes a Back Seat is the first book published under her married name, marking a new creative direction in her writing. Like Francine Rivers before her, Leanna has left behind a successful career as an author of secular romances to write novels of faith that glorify God. A former schoolteacher, Leanna is now a homeschool mom and lives with her husband and children in Keller, Texas.